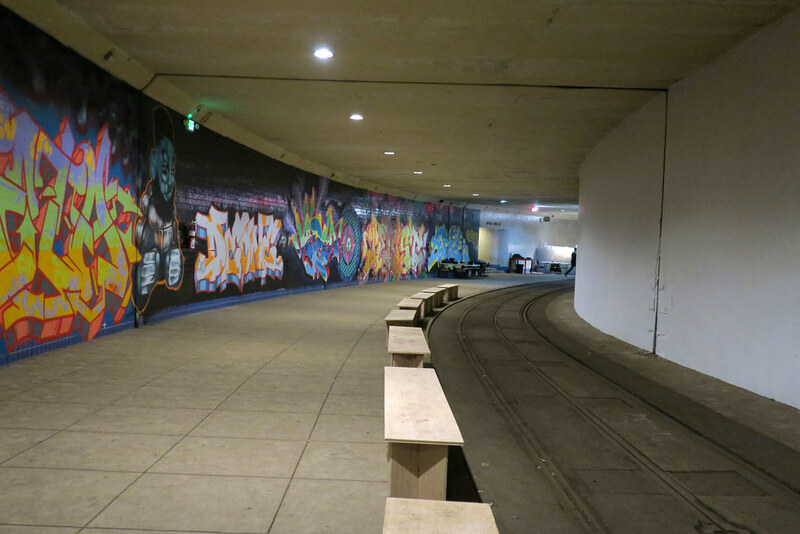 Came expecting a longer tunnel with cool art, graffiti, and general abandoned things but it was lame and a waste of money. There is still mural-like graffiti but.. When I went yesterday, there was a photography exposition (they didn't say that anywhere while I was researching). It costed $18 for regular admission and $12 discounted. We ended up just buying the tickets because they told us that it was "10x longer" than what we were seeing from the ticket stand. Not true. It's a 4 minute walk to the end of the tunnel. The pictures you see online are maybe of certain events that go on down there and the one I see commonly is the one with ball statues. Its really not that cool down there. Wouldn't go unless there's a concert. I only took pics of the graffiti cause thats what I wanted to see more of. Such a fun space, very unique, very secretive. Awesome comedian goes every week! Unique place even to DC. Went for World Press Photo exhibit and wasn't disappointed. You ALWAYS have to pay to enter this "unusual" space, so pick an event that interests you. If you go in the cold weather, dress accordingly (layers), so you do not freeze to death. I have not visited in the summer, but I assume that it is somewhat cool but a muggy space (no general heat or A/C) so dress accordingly (no suit coats in the summer, guys!). This is a marvelous LARGE space for art works - the art lighting is just OK, but artworks are lit. There is also a good size performance space with lots of seating, sound, video, etc. Always a dim space - lighting-wise - NO NATURAL LIGHT - so I would not recommend for elderly persons with mobility or visual issues. Cannot comment on the musical acoustics. Worth a visit one time!